It's the start of another week and one of a major celebration around the world is happening this Saturday. 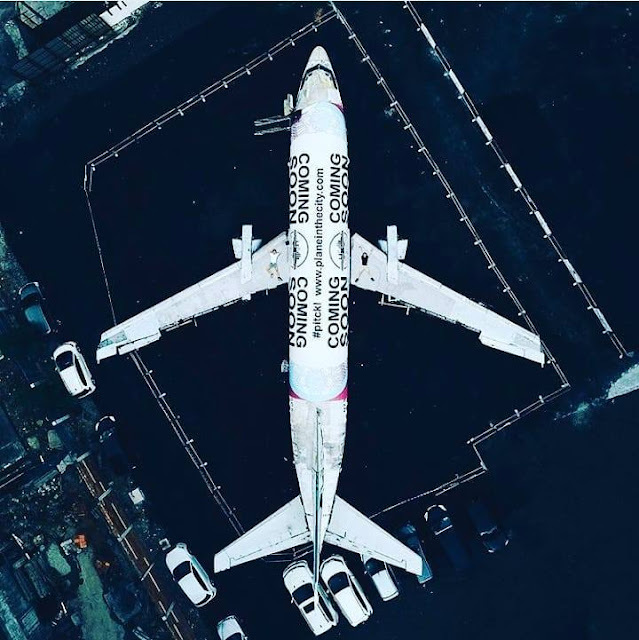 Can you guess what? Well, it's Valentine's Day this Saturday and it's the day where lovers celebrate this day and express their love for one another. Of course you can also celebrate this with your family and friends and not necessary only with your other half. 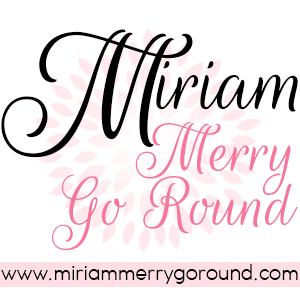 "WHERE to celebrate Valentine's Day"
There are tons of places you have your Valentine's Dinner but let me share with you a place where you can have a different experience celebrating Valentine's Day! Introducing Komura Japanese Restaurant in Corus Hotel located just 5 minutes away from KLCC. I have previously written about their Chinese New Year Reunion Dinner promotion if you have not read it. Anyway, Komura Japanese Restaurant is practically built to look like tea houses in Kyoto where they actually build individual tea houses for room instead of the conventional rooms you have. 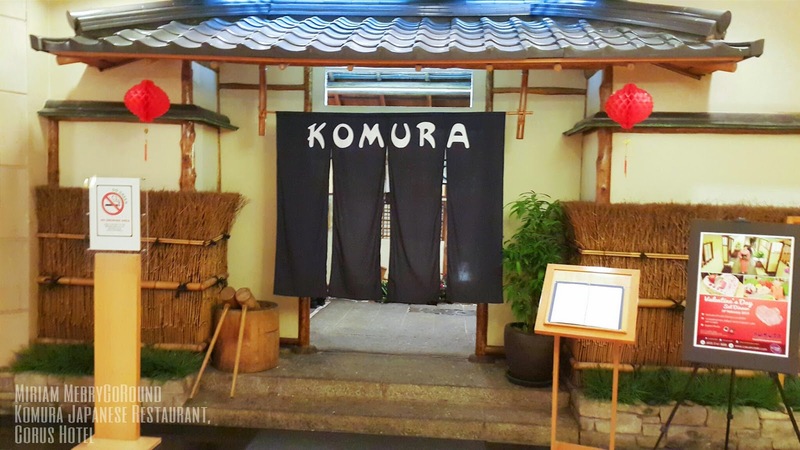 Stepping into Komura Japanese Restaurant you will feel like you have been transported to Japan with their unique architecture and their pebbled pathway with Japanese features all around. 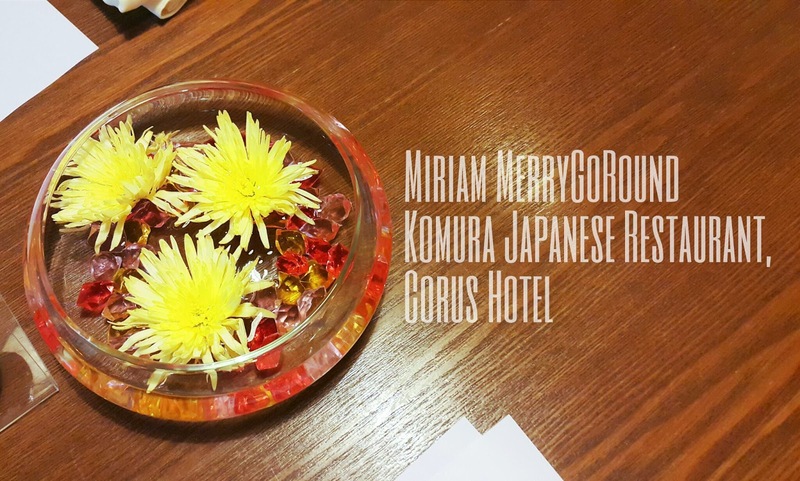 The servers are also wearing the traditional Kimono and for rooms with tatami mats, you are required to remove your shoes and enjoy your meal like a Japanese. 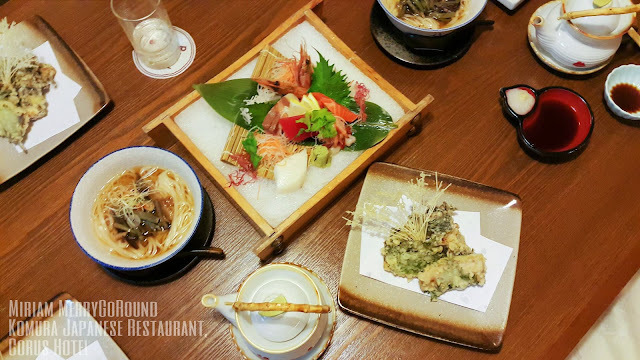 This year, Komura Japanese Restaurant have designed a special set menu for you to enjoy with your love ones for only RM 280++ per couple. Each couple will be able to enjoy authentic Japanese cuisines made fresh plus a complimentary 200gm heart-shaped cake and an Instant Photo to preserve that memory. Starting off with the Sashimi Moriawase , this platter of assorted sashimi glittering on a bed of ice will make any Japanese food fans salivate. The sashimi were cut beautifully and tasted so sweet and fresh. The butterfish served was really buttery and practically melted in my mouth. I have yet to taste another piece of butterfish that tasted so sweet that night. 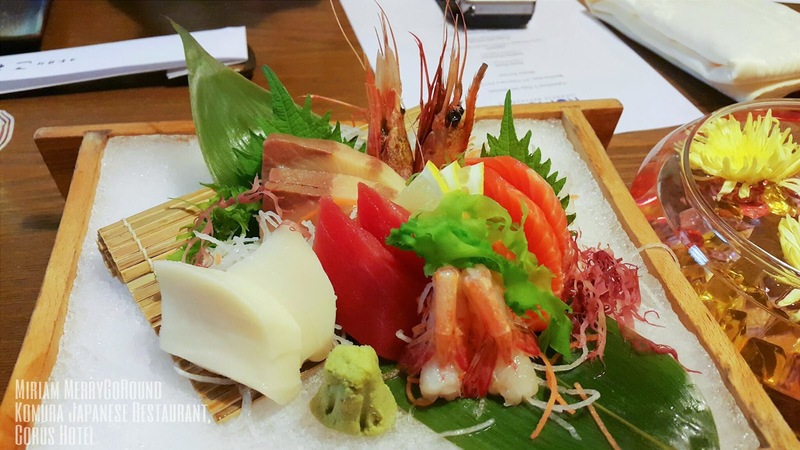 The thick slices of sashimi will really give you that satisfaction in every bite as you enjoy this dish with your other half. The sweetness of each piece served really kicked off the evening. 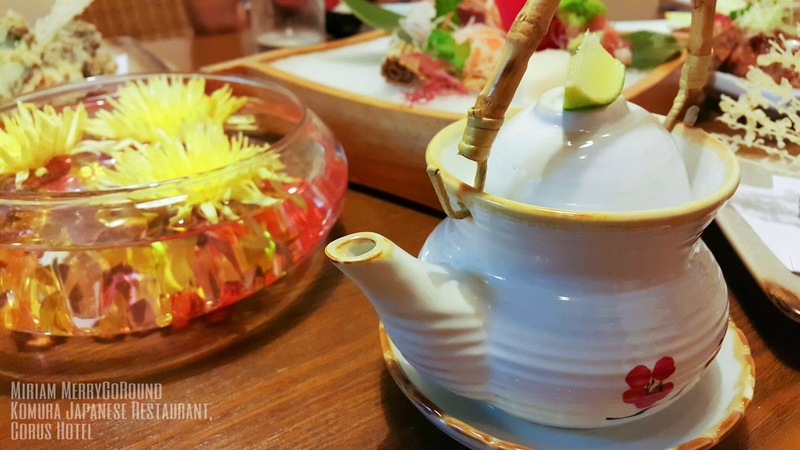 Next let's clear our palates with the Dobin Mushi (Tea Pot Soup). This delicious soup was served in a tea pot and was bursting with flavour. The ingredients used were well cooked and the flavours from each ingredient was well extracted from them. 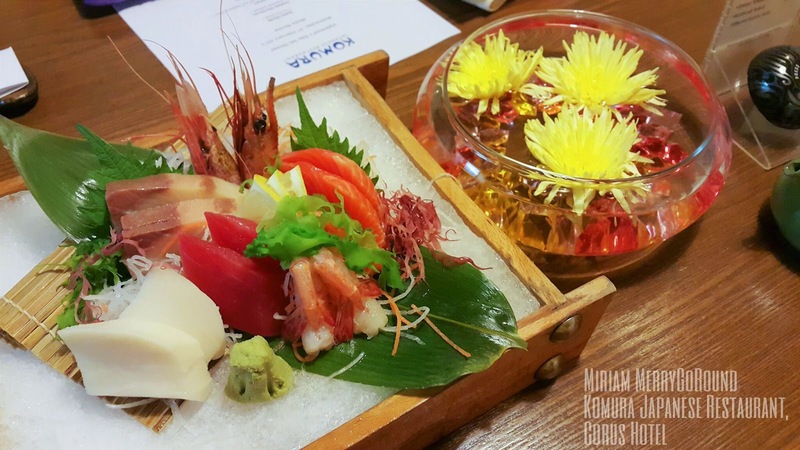 You will be able to enjoy the freshness of the prawn in each Dobin Mushi which was still tender and succulent. 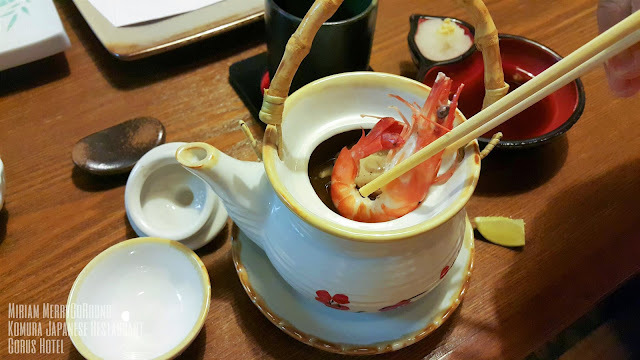 It was a pleasure to sip every drop from this unique dish to experience that Japanese traditional dish. Now let's proceed to have a crunchy bite to this dinner affair. Serving up hot and crispy, the Sanma Wrapped with Oba Leaf and Japanese Plum. 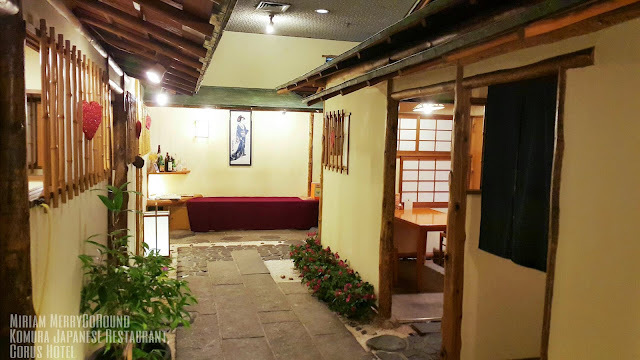 What I really liked about this agemono is that Komura Japanese Restaurant was really generous with the amount of Sanma meat and they really prepared the meat really well that there was no fishy taste or smell which you may find at other restaurants. 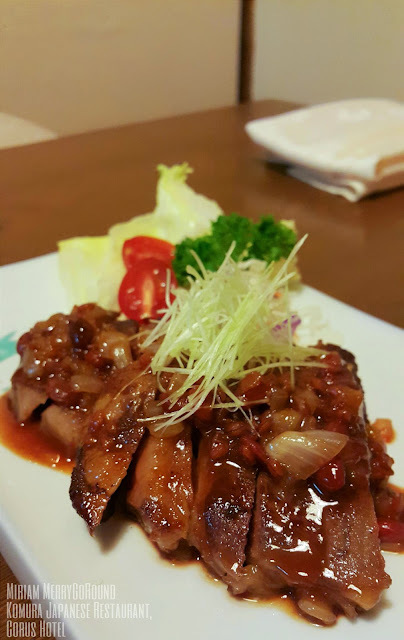 Besides that, the Japanese Plum gives it a nice tangy flavour which made this dish really appetizing. 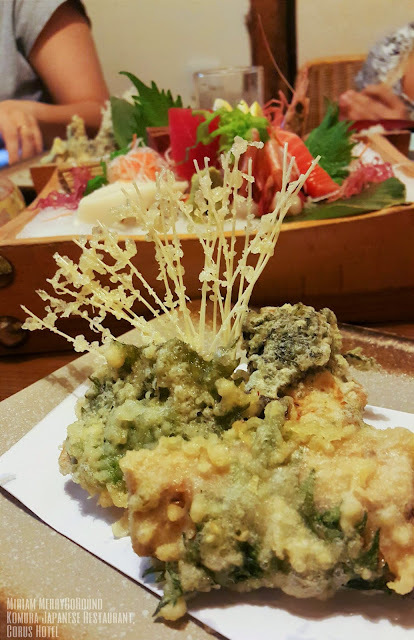 The tempura batter was just nice and not too thick so you really get a crispy and crunchy exterior which sweet sanma meat inside. I liked that they used Oba Leaf as well to wrap the Sanma fish which gave it additional flavour. Following up is one of my favourite dish for the night which is the Wagyu Moromiyaki (Pan Fried Wagyu Beef). I am a super beef lover and I have fallen head over heels for this dish at my first bite! The Wagyu beef was super well seasoned and was cooked medium rare which was super tender just the way I liked it. The ratio between the meat and the fats were well balanced and it had just the right chew between every bite. I couldn't stop myself from having more of this dish. The Wagyu beef is imported from Australia and is really fresh as well. The chef did a great job in preparing this dish that I keep craving for it. If you or your partner are meat lovers like me I am sure you will enjoy this dish. Included in the Valentine's Day Set Dinner is also the Shokuji Sansai To Inaniwa Udon, a lovely udon dish with well seasoned vegetable broth base. 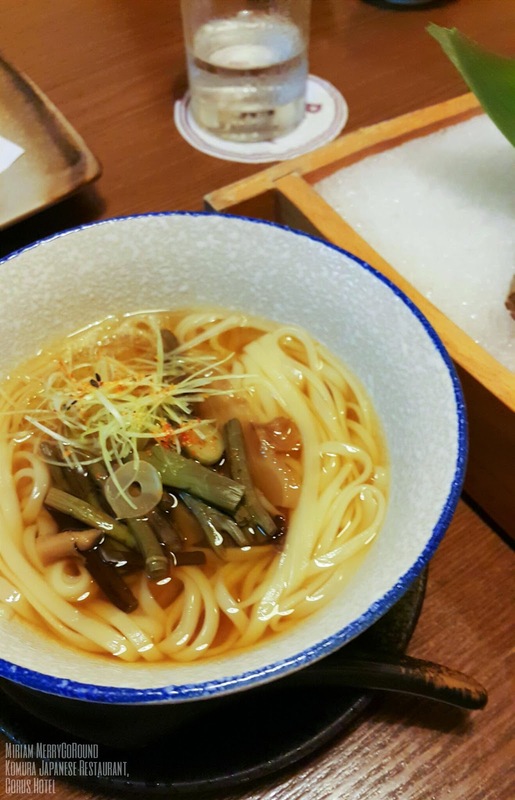 If you are still hungry after the previous dishes that have been served so far you will definitely have your fill with this Udon dish. The soup was savoury and seasoned really well and had that umami flavour. The udon noodles were still al dente and was not too soft. Even though I was so busy attacking the Wagyu Beef and neglected the Udon dish, it still tasted lovely when I finally tried it. I like the vegetable that they added on top to give it an additional texture. It reminded me of wakame seaweed and it was cooked perfectly, tender and sweet. This dish added on to the sweetness of the meal. Now, what is a great dinner if we do not finish it off with some sweet desserts! To end the dinner on a sweet note, we have the Matcha Cream Brulee and Mango Fruit. This Matcha Cream Brulee was creamy and sweet with a tinge of green tea. The top of the cream brulee was well torched as well and have it a crispy texture as you take your first bite. I would still prefer if the dessert had a stronger matcha flavour to it but I guess they need to suit the Malaysian tastebuds. 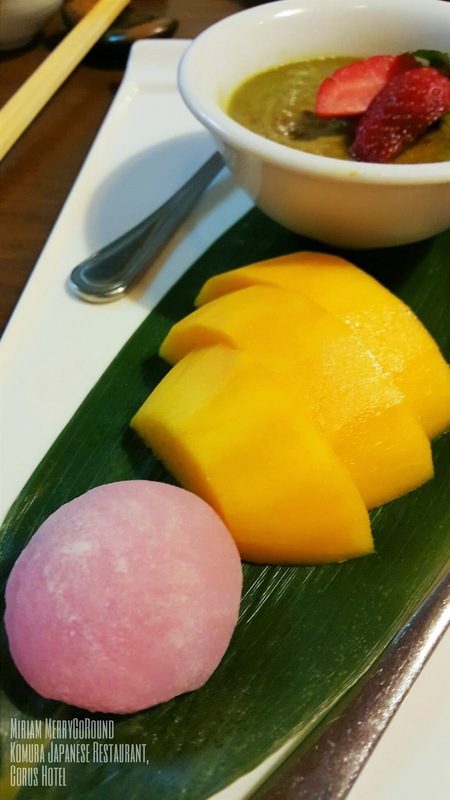 Served with this dessert is also Mango Fruit and a Japanese Mochi. 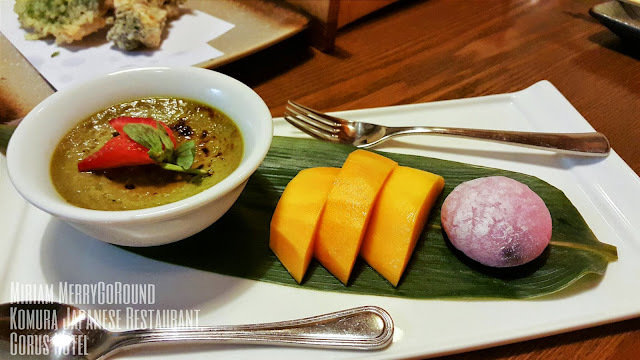 The mochi was soft and supple just the way I like it and the red bean paste in it was not too sweet so that it does not overpower the main dessert. 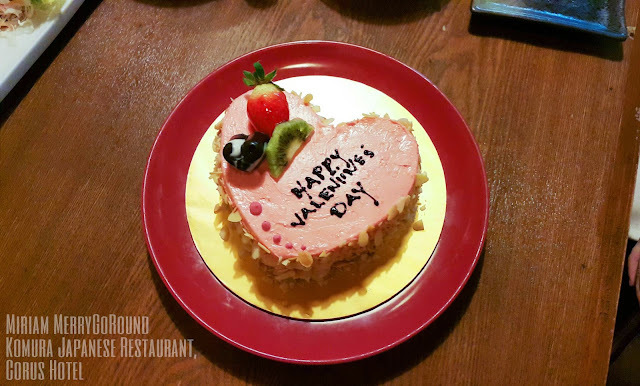 For Valentine's Day, Komura Japanese Restaurant is also giving a complimentary 200gm heart-shaped cake to celebrate this romantic day. 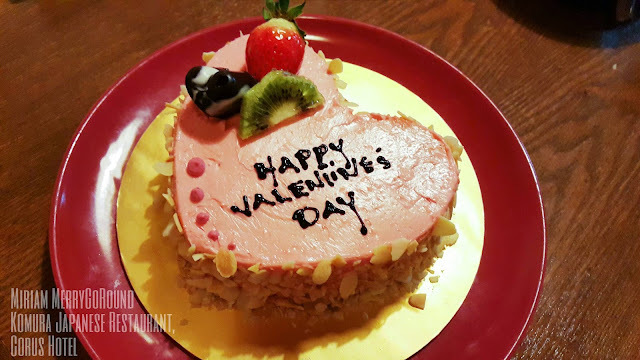 Enjoy this cake with your partner and if you are too full from that scrumptious dinner no worries as you can bring it home and enjoy it later. 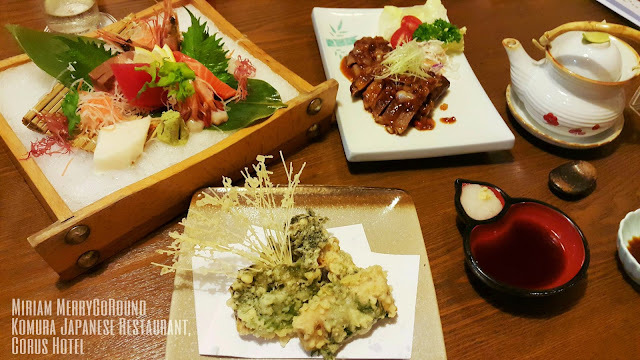 One thing to take note is that Komura Japanese Restaurant is cooked without using any MSG and preservatives and all the yummy savoury flavours are from the ingredients that they use. So don't wait any longer. 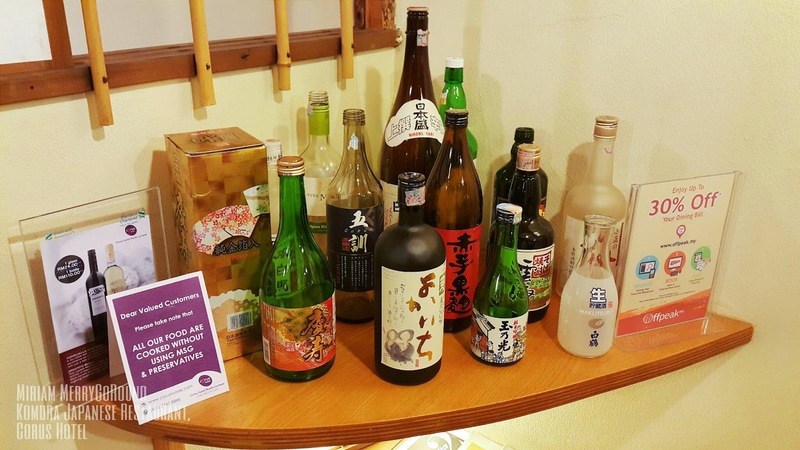 If you have not made any reservations for Valentine's Day, celebrate your Valentine's Day at Komura Japanese Restaurant and have an unique and pleasant romantic dinner with your significant other. The food looks unbelievably beautiful and tasty. great photos! 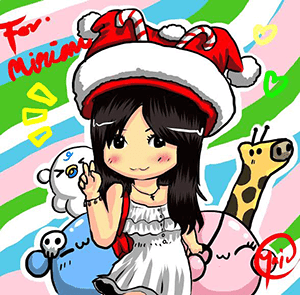 i especially adore this lovely little sweet cake :) I ' m Your newest follower!